When first published, the author's papers were quickly appreciated as a benchmark in the ongoing, although at the time underdeveloped, understanding of the vital importance of countertransference in the psychoanalytic process. In subsequent years a great deal has been written on the subject without diminishing the classic status of the author's fundamental intervention. 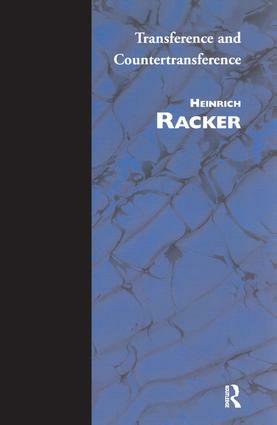 Transference, and especially countertransference, constitute the principle focus and axis of the author's re-examination and development of psychoanalytic technique and theory, written to address a perceived gap between psychoanalytic knowledge and its capacity to effect psychological transformation in the patient. This reissued edition makes available again a cogent, lucid and elegantly articulate contribution to a central psychoanalytic topic.